Since its opening in April 1891, Carnegie Hall has hosted a variety of performers that ranged from classical musicians to controversial comedians. On November 19, the historic concert venue’s Weill Recital Hall welcomed another group of extraordinary musicians— the Indie Collaborative. The Indie Collaborative is an international group of over 2,000 professional independent artists that work in the music industry. Their goal is to inspire artists from all genres to create unique collaborations. Members that make up the Indie Collaborative include singers, songwriters, instrumentalists, producers, and others who make their living through music. 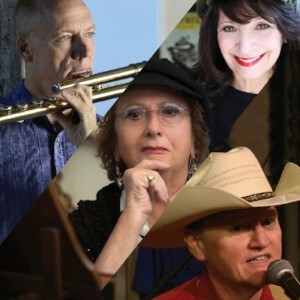 Representing the Indie Collaborative for this impeccable event were the Bluestone Sisters (Eileen Bluestone Sherman and award-winning composer Gail C. Bluestone), Grammy-winning flutist Wouter Kellerman, and singer-songwriter Grant Maloy Smith. The evening was divided into three acts that represent each of their respective music genres. The Indie Collaborative kicked off the evening by giving the Weill Recital Hall audience a taste of Broadway. Four Broadway veterans accompanied by musical director Timothy Graphenreed (The Wiz) sang eight selections from two of the Bluestone Sisters’ projects. Five of the songs were from Perfect Picture, which centered on the life of the legendary artist Norman Rockwell, while the other three were from The Odd Potato, which was based on Bluestone Sherman’s 1984 book The Odd Potato: A Chanukah Story. Wouter Kellerman took the Indie Collaborative audience on an international music tour with the help of acoustic guitarist Peter Janson, pianist Michael Gallant, drummer and percussionist Matthew Burgess, and bassist Brian Hinchcliffe. The quintet delivered beautiful interpretations of Irish marches, a French classic “Les Folies d’Espange,” and the Spanish love song “Quizas, Quizas, Quizas.” The highlight of Kellerman’s set was his original piece “Wind.” It not only set the tone of the set, but it could also be the theme song for commuters. Billboard chart-topping artist Grant Maloy Smith concluded the evening by bringing Bluegrass and American Roots to the Weill Recital Hall. When I heard Maloy Smith sing “The Boy Who Built The Moon,” his voice reminded me of Woody Guthrie, Peter Yarrow, and Paul Stookey. He delivered an amazing set that included the energetic “Ride That Train” and “Isht a Lhampko (Have Strength),” which highlighted the struggles of the Native Americans during the Dust Bowl. Another highlight of the show was “I Come From America,” which Maloy Smith encouraged the audience members to sing the chorus with him. The evening ended with Maloy Smith joining forces with Kellerman and special guest performer Mia Moravis, who performed “We’ll Stay Together,” a song that Maloy Smith dedicated to the Indie Collaborative. To learn more about the Indie Collaborative, visit their website.